Welcome to Mahdion Financial and Insurance Center. At Mahdion Financial, we provide an extensive list of financial services for individuals, corporations and many more. We have experience in numerous fields including but not limited to retirement, wealth management and investments. 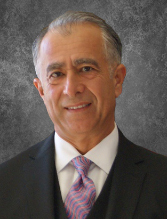 Mahdion Financial has years of experience in buiness owners and executive planning. We are dedicated to helping our clients live their best lives through achieving their financial goals. Our clients are important to us and we strive to help them protect their financial futures.